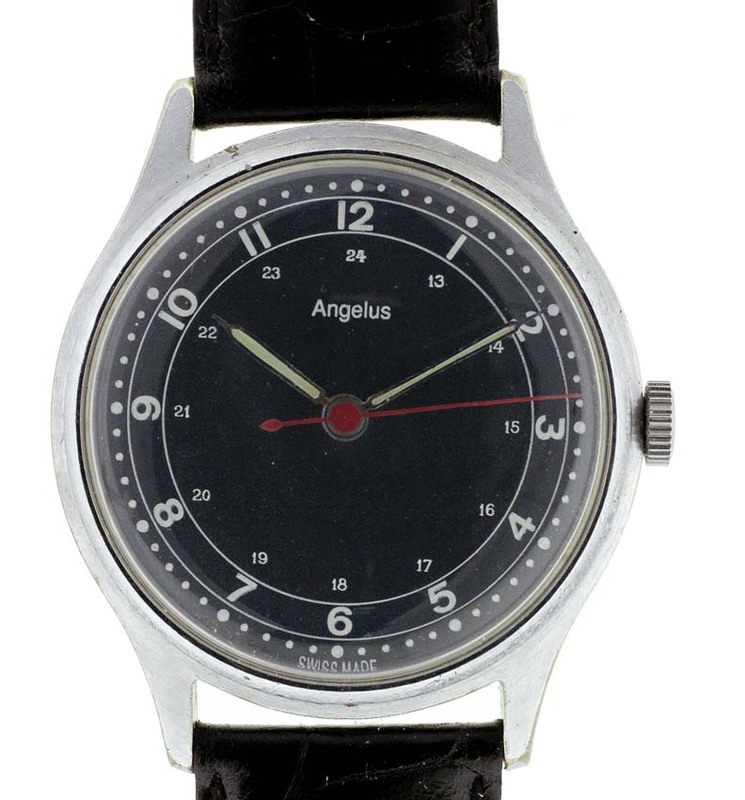 Vintage Angelus wrist watch dating to the 1940s. A large Angelus vintage watch with steel case. 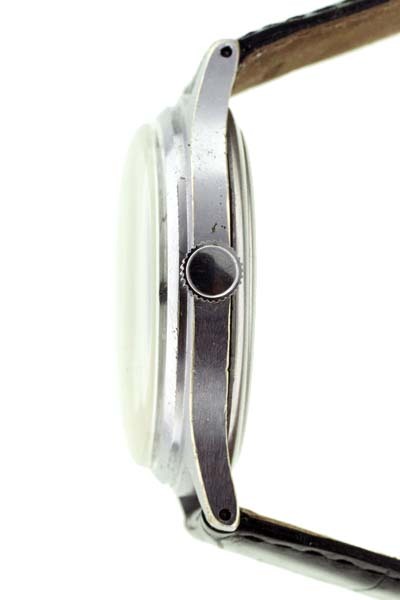 The watch features a matte black restored dial with an interesting red sweep second hand. 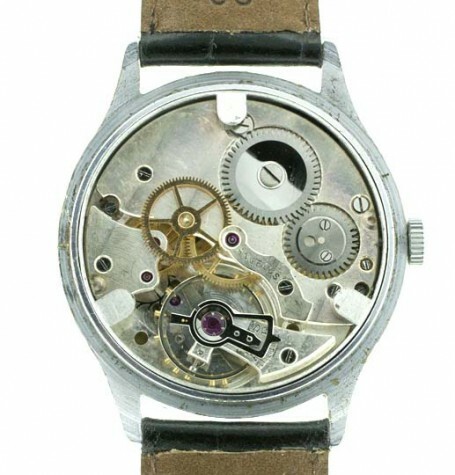 An Angelus manual wind version of the famed Angelus calibre 215 movement powers this large wrist watch. 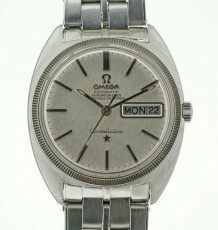 The movement was just serviced and is running as it should. 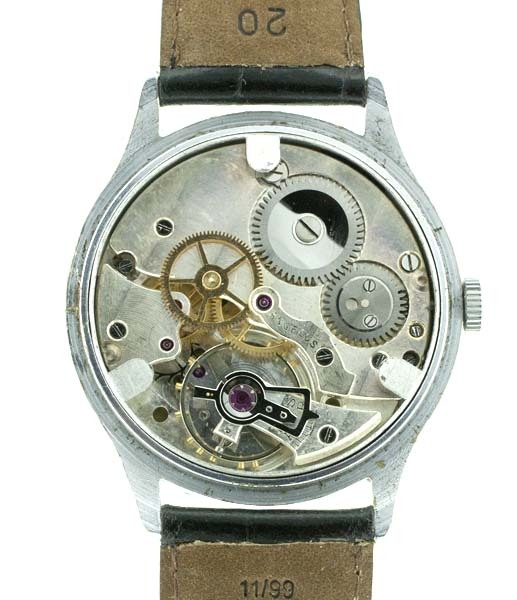 The Angelus watch company dates back to the late 1800’s and was famous for its series of complicated chronographs using versions of this very movement. 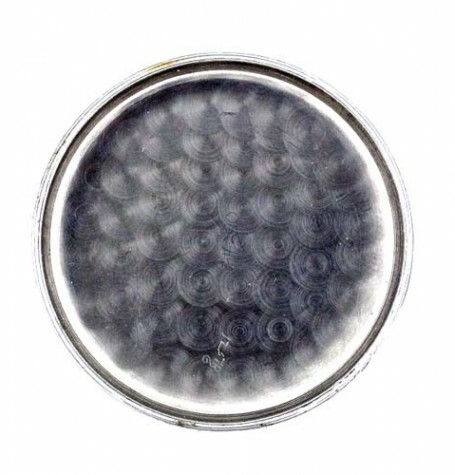 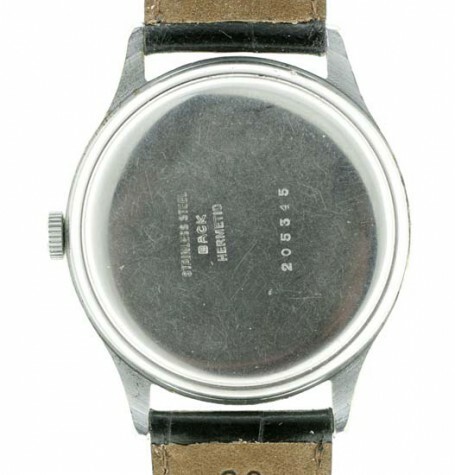 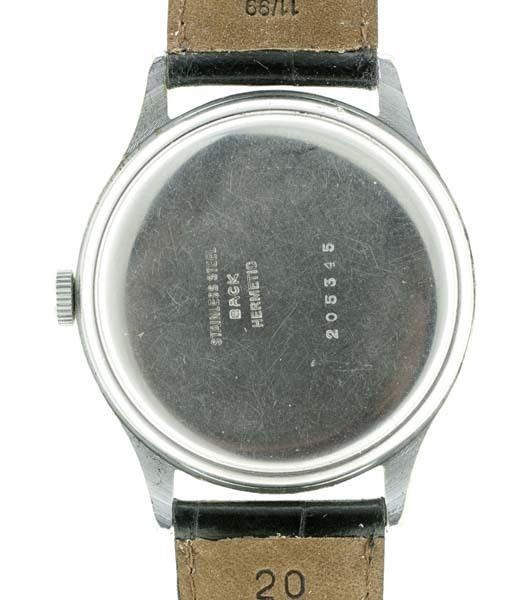 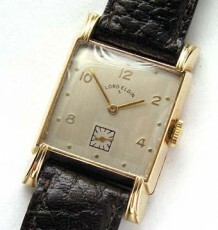 The company eventually went out of business during the collapse of mechanical wristwatch production during the 1970’s. 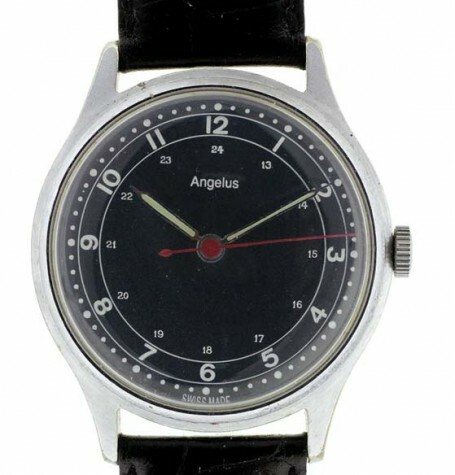 Here is a short article about the history of Angelus written about 5 years ago. 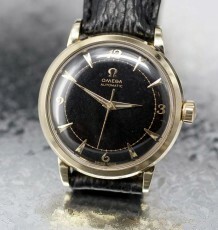 One very appealing aspect of this watch is the overly large black dial. 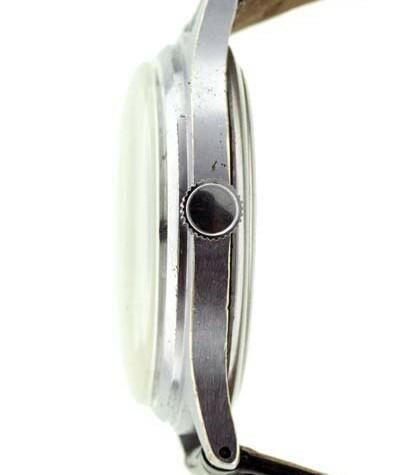 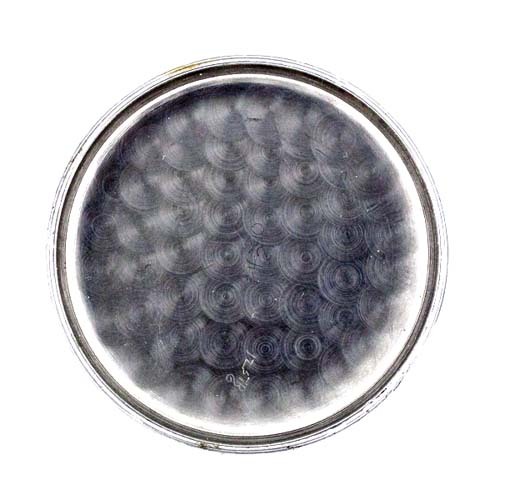 The lack of a thick bezel means most of the watches width is composed of dial surface and as such gives even more presence on the wrist. 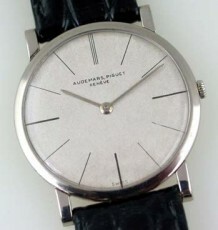 The watch measures 38 mm wide by 46 mm long and is currently fitted to a black calf leather strap.